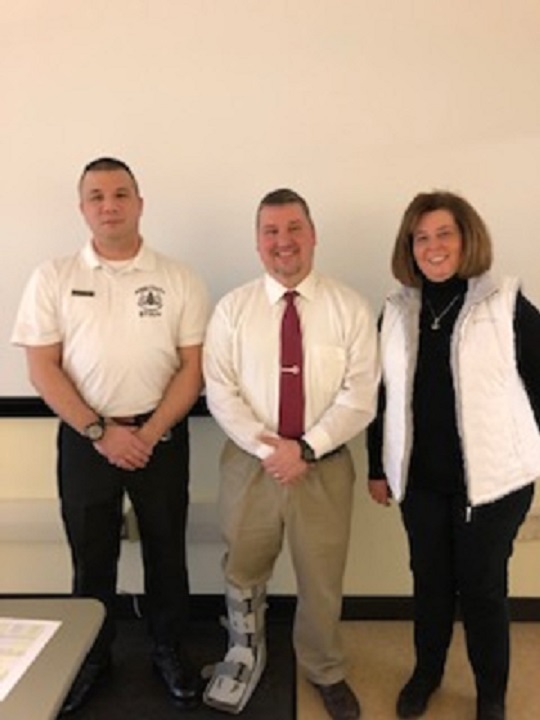 CLEARFIELD – Clearfield Community Life-long Learning Institute offered a program on Quehanna Boot Camp at Lock Haven University – Clearfield on Feb. 5 with presenters, Scott Carter, Jim Stover, and Bonnie Fish. The Quehanna Boot Camp program began in 1991. This program is a Cognitive Restructuring Program based around military concepts. If inmates successfully complete the six-month program, they are Administratively Paroled (in most cases, prior to their sentence minimum). The Boot Camp Program accepts both male and female inmates. As of July of 2018, Quehanna has graduated almost 10,000 inmates. In 2006, Quehanna began accepting inmates into the State Intermediate Punishment Program (SIP), which involves a four-month Therapeutic Community (TC). As of July of 2018, Quehanna has graduated over 5,000 inmates from SIP. Quehanna has three male and one female TC. Each TC houses approximately 50 inmates. As part of the SIP program, Quehanna operates a male and a female Opioid TC. For information about the 2019 upcoming classes, please contact the CCAAA at 814-765-2696 or visit www.ccaaa.net.